Wedding is a ceremony that represents the unity of two souls intended to spend their rest of the life together. Wedding in Guruvayur is a vision of every hindu to fulfill in a most blessed way in front of lord Guruvayoorappan. Every hindu marriage is filled rich with its own traditional value and rituals are followed during the process.There are 3 classification of rituals followed – Pre Wedding Rituals, Wedding Rituals, Post Wedding Rituals. Pre marriage rituals consists of formal gathering between the elder members of the two families to resolve on the the compatibility factors linking them. This may also include the meeting of the bride and groom to decide their mutual decision on which rest of the procedure will depend. If this step is favourable, parents should have to act on the next set of pace like fixing the wedding date, booking a hall, printing invitation cards, generating a list of guests to attend etc. Wedding rituals starts with inviting the bridegroom to the mandapam or the venue of marriage, exchange garlands,giving the daughter to the grooms hands safely called the Kanyadan, tying a knot called Mangalsutra and the saint will chat mantras or vedic mantras and the mangal karma takes place around the fire in the presence of god. With the end of this means the bride and groom accepts each other and promises to be in their lives throughout. Post wedding rituals comprises of reception party were the bride’s family gives a superior farewell to all present in the ceremony, receiving blessings from the elders, receiving the bride and groom to the entrance with tiri vilak to ensure goodness to the peers and before entering to the house showers their feet with water leaving the footprints on the floor. 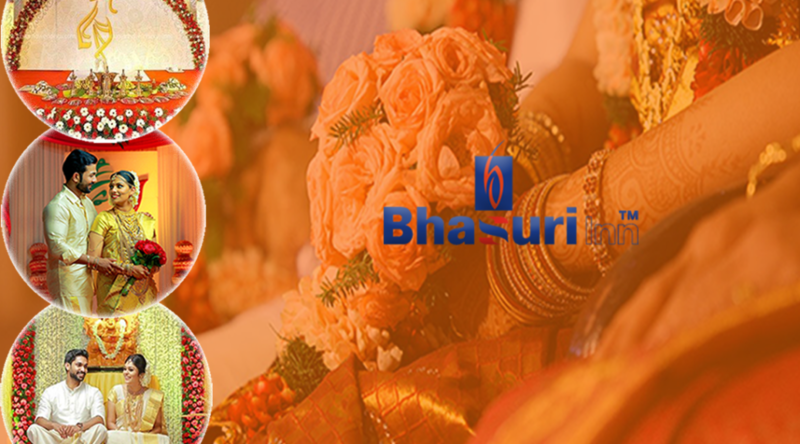 Bhasuri Inn, one of the best wedding planners in Kerala guarantees a space for all 3 rituals and provides excellent wedding venues in Guruvayur with high class facilities at a reasonable price to make sure its is manageable by all.